Our Karma Yoga for a Cause with Let’s Imagine, a 501 (c)(3) registered non-profit organization, was a great success at KareBoost Health on Thursday, October 27, 2016. This fundraising event helped build a well for safe and clean drinking water in an African Community. This Chakra Balancing Workshop, ran by Sarah and Meg, introduced the chakras and how they are related to yoga, to guide you into a self-exploration journey through the Chakra energy system. Enjoy the pictures from the Event at KareBoost Health in Somerset, NJ. Come Join Us for our next Karma Yoga for a Cause Event for Diabetes Awareness Month: Michael’s Miracles on Wednesday, November 16, 2016 at 6pm. What Does Moderation Mean Anyway? ​“All things in moderation” is a common saying, but recent research from the University of Georgia suggests there are some problems with this advice when it comes to losing or maintaining weight through diet. Michelle vanDellen, an assistant professor in the Department of Psychology at the University of Georgia, led a study that looked at the concept of moderation as it relates to healthy eating. One of the things the study sought to test is the popular idea that strict diets which disallow certain foods are overly restrictive, and that eating in moderation is enough to lose weight or maintain a healthy weight. While the idea of eating in moderation is a good one, the study found that as specific advice, “eat in moderation” is likely not enough. For one thing, “moderation” means different things to different people, so the term is not concrete enough to provide really specific helpful advice. This study, and others like it, point to the difficulty almost everyone has in correctly judging a healthy portion size, even when they are trying very hard to. This underlines the need for careful, objective, and measurable guidelines regarding healthy portion size. Chakra Balancing WorkshopJoin Karma yoga teachers Sarah and Meg for a Chakra Balancing Workshop for a good cause! This Chakra Balancing Workshop will introduce the chakras and how they are related to yoga, to guide you into a self-exploration journey through the Chakra energy system. Chakra is a word that comes from the sacred language of Sanskrit, translating to “wheel.” There are 7 energy wheels located along the spine of the body. Each Chakra is associated with specific physical, emotion and/or spiritual functions within the body. When Chakras are imbalanced, they can affect our interactions with the world. Our Chakras are influenced by everything we do, and go in and out of balance naturally. From daily stresses, minor illnesses, and leading the fast-paced lifestyles we do today, our chakras need to be realigned to eliminate disease of the mind, body and spirit. This workshop will cover the basic characteristics and functions of each chakra and will guide you through asanas (physical yoga postures) that pertain to stimulating and opening each energy center. To compliment this physical practice, the workshop will close with a Chakra balancing guided meditation. Participants are encouraged to bring a small journal for reflective writing. Bring your own yoga mat, towel, and water bottle. 100 percent of the proceeds from this event will be donated to Let’s Imagine, a 501(c)(3) registered non-profit that is dedicated to fostering emotional well-being in youth, locally and globally, through the transformational experiences of yoga, meditation and art. 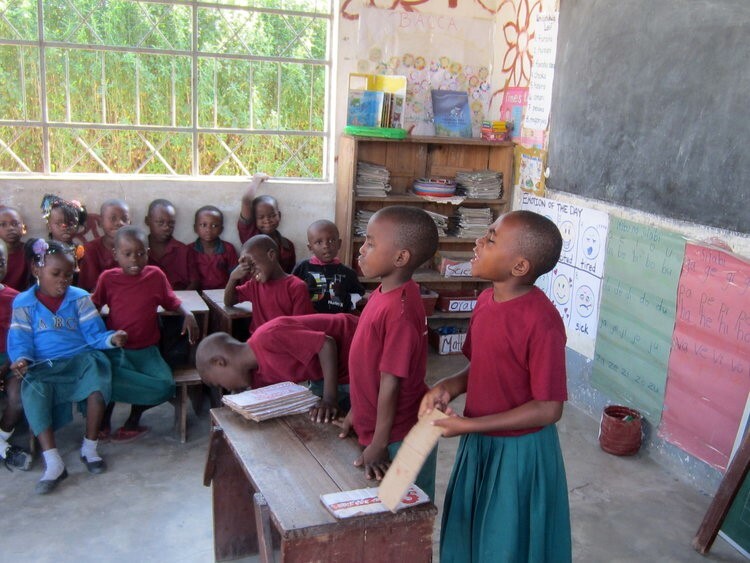 Let’s Imagine is currently fundraising for our next humanitarian social mission project, which will take place in a small village in Bagamoyo, Tanzania. In addition to the teachings of yoga, meditation, and art with youth, we are fundraising to build a well for safe & clean drinking water in the community that we are reaching. Namaste Friends. We hope to see you there! CHECK OUT OUR KARMA YOGA EVENT FOR CLEAN WATER! Many parents these days wish they could keep their kids in a bubble. Unfortunately though, there is no way to prevent our children from being exposed to our society’s influences, both positive and negative. The only safeguards parents have, are their awareness of their children’s whereabouts and their daily activities, and to be a positive role model at all times. What kinds of behaviors as parents do we engage in on a daily basis? Who are our kids friends with? What are our kids’ likes/dislikes, and what extracurricular activities are they involved in? What are they watching on all of their screens…their tablets, their phones and their televisions? As parents, we often do not realize the influence our own behaviors have on our children’s. Additionally, parents are often unprepared to discuss anything that may start to sway their child in the wrong direction. One such very common negative influence is our society’s pressure to look a certain way, or to be thin. It’s unavoidable. Over 50% of teenage girls and 33% of teenage boys are using restrictive measures to lose weight at any given time. 46% of 9-11 year olds are sometimes, or very often, on diets, and 82% of their families are sometimes, or very often, on diets. Basically, what I am saying is, MOST families in the United States are on some sort of diet and half of their kids are dieting as well. No wonder why eating disorders continue to be on the rise. So, what can parents do about this? either to help prevent their children from developing disordered or restrictive eating or exercise habits, or to help turn them around if they notice it occurring? Well, the first thing parents can do is to take a good look at their own behaviors. Are they chronically dieting/excessively exercising? Are they constantly criticizing their own body/self-image? Then, they first need to get help for themselves and start to change their own perception about health. Prevention begins with keeping the lines of communication open. Always encourage healthy eating habits. Do it yourself first and your kids will eventually follow suit. Do not talk about certain foods being “good” or “bad”, just focus on making healthy food choices together as a family. Be aware of the messages media is sending your children, and discuss them. Always promote a healthy body image and reassure your children that healthy bodies come in all different shapes and sizes. Praise them on all of their positive accomplishments constantly, helping to foster good self-esteem. Talk about why dieting is so dangerous and the health consequences that can occur. Finally, use food to nourish your child’s body, NEVER as a reward or consequence. · Divulging from the normal eating routine. Skipping snacks, meals, making excuses not to eat or eating in secret. · Expressing shame or guilt or even disgust or depression about eating habits. Also, we can help you with preventing or managing eating disorders or disordered eating at KarBoost Health. While we are not able to provide therapy, our Pediatric Dietitian, Andrea Berez, specializes in eating disorders, and Dr. Karen can help with the GI manifestations that can be frequently associated with Disordered Eating. We are a team that works closely together. Please reach out to us so that we can help you and your child through this challenging time. ​Cooking for a picky eater can be tough. Preparing a home-cooked, healthy meal can be enough of a challenge and wondering whether one of the people you are cooking for is going to make a funny face and not eat what you have cooked can be very demoralizing. Fortunately, there are a few helpful strategies available to help with a picky eater. The most important thing is to ask the picky eater why they are not interested in eating what you have prepared. You may be surprised at the responses you will receive when you ask this question. 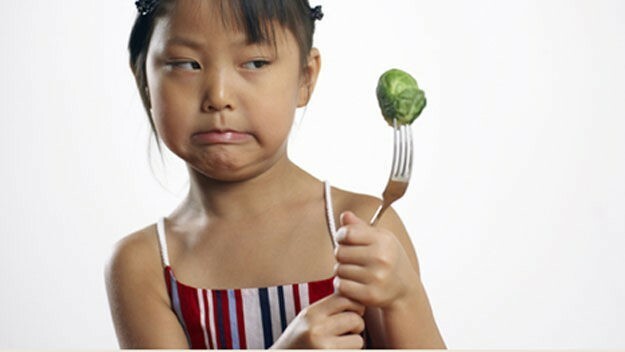 Here are some common, but perhaps surprising reasons children may reject food. Temperature: Children may be more sensitive to the temperature of food than adults. Quickly heating food in the microwave or cooling it in the refrigerator can help. Visually “Boring”: Adding little sprinkles of nuts, seeds, cheese, mint, or cinnamon can help make food more visually interesting, fun, or novel for a child. One Ingredient: There might be a single ingredient in a dish your child does not like. Let them remove this ingredient, and eat the rest of the food. While the individual reasons children may reject food vary from child to child and even from time to time when dealing with the same child, communication is key in dealing with a picky eater. If you have a picky eater in your family, help them develop the vocabulary to explain why they are not interested in eating what you have prepared. The better they are able to express themselves, the easier it is to work with them to prepare food you can feel good about serving them and they can enjoy eating. Here at KareBoost Health, Dr. Karen and our pediatric dietitian, Andrea Berez, can help by working with you on your specific case. We can provide more guidance on a regular basis either by phone or in person. We can be the support that you need as you deal with this challenging and frustrating experience with your child. While it may take time, your child can start eating a variety of foods. Let us help you!